The latest data from interviews in February, compared Zille to leader Mmusi Maimane and found her to be more popular than the incumbent. 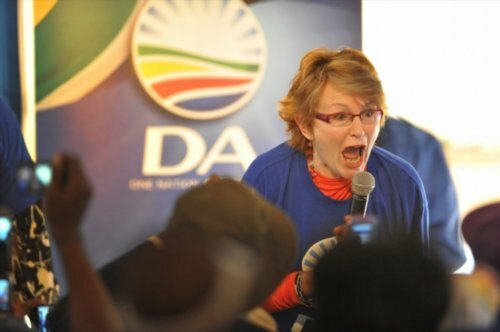 Even in the twilight of her political career, the DA still needs Western Cape Premier Helen Zille to boost its fortunes in the May 8 election, a new poll has shown. The findings by Citizen Surveys – no affiliation with The Citizen – showed 58% of party supporters would be more likely to vote for the DA if she was deployed in the current election campaign. This contrasted markedly with the ANC, where a recent study showed that should former president Jacob Zuma be included in the ANC campaign, many of the ruling party’s supporters would boycott the party at the polls. The latest data, collated from interviews conducted in February, with a sample of 1,300 respondents, compared Zille to leader Mmusi Maimane and found her to be more popular than the incumbent. A total of 52% DA supporters (3.4 million) preferred Zille over him, while a much lower 30% (2 million) preferred Maimane. Interestingly. 17% (1.1 million) of DA supporters preferred them equally. Political analyst Somadoda Fikeni attributed Zille’s popularity to the many DA constituencies, especially former historic minorities like whites, who felt they were being overtaken by blacks in the party. But most importantly, the leadership experience of Zille over Maimane is a factor. The analyst said this was a great opportunity for Zille because in the DA, former leaders were hardly acknowledged.